May 6th in Wordpress Plugins by Wordpress Jedi . When you are starting a new blog, chances are you will be the only author on it for a while. But the idea of two or more people working on the same article is nothing new. Besides, many top blogs accept guest authors these days and have to find a way to manage guest posters who have more than one post. Co-Authors Plus is a powerful plugin you can use to handle authors on your site. Co-Authors Plus does not require you to create new user accounts for your authors. This is perfect for those of you who accept guest posts on your site once in a while. Adding new bylines is super easy. Just enter name, first name, last name, and other information for each author. You can always use user mapping but that is optional. 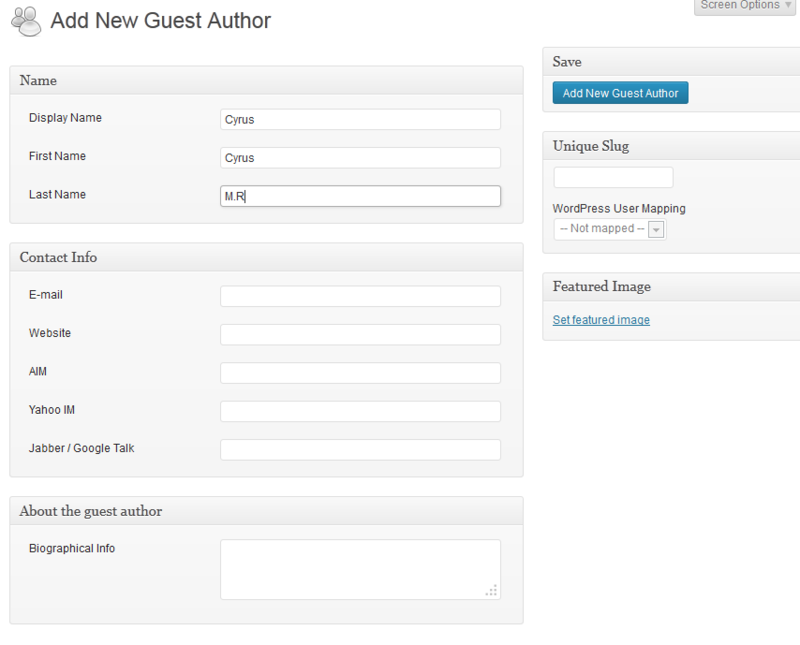 The plugin lets you add new authors as you edit your posts. Click on each author to change them. 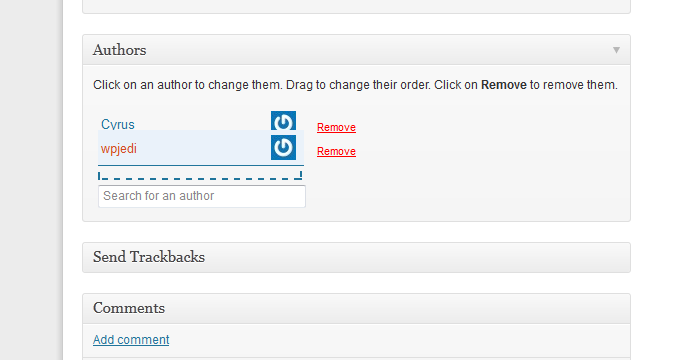 You can also drag to change the position of authors. Your job is not done as soon as you create and add new authors to your posts. Co-authors do get to edit the posts they are associated with. Those who are contributors can only edit posts that are not published. Make sure you use the template tags for this plugin to get it to function properly on your site. We found the search feature to be pretty responsive. The plugin did take us a bit of time to get to fully integrate with our site but it does what it promises. If you would like to assign multiple bylines to posts, pages, and custom post types, Co-Authors Plus has you covered.